SIMPLY EXCEPTIONAL...This Sun City "Mariposa" is located in Branding Iron, an exclusive, gated community in Del Webb's Sun City Mesquite. 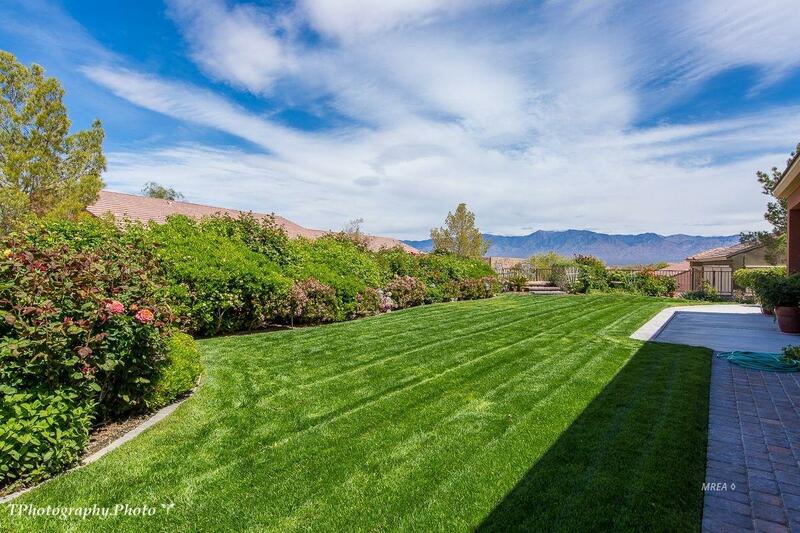 Situated on a quarter acre elevated lot, this exquisite home offers breathtaking views of the eastern mountains, Flat Top Mesa and distant desert bluffs. This home is perfect for entertaining with ample space inside and out. With 3,111 square feet, this well designed home features generous living space and opens up from virtually every room to a colorful back yard Oasis. The covered patio is impressive and the extended Paver sitting areas provide varying views of the stunning scenery and lush green scape. 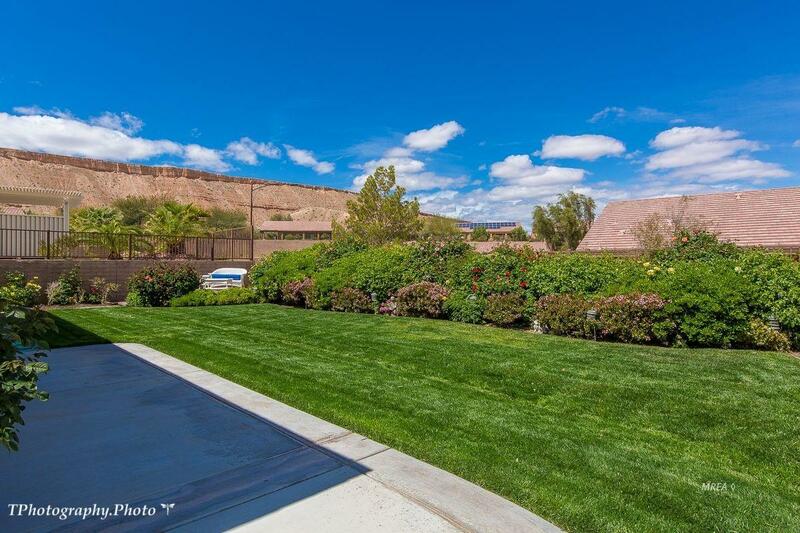 The yard is incredibly private and impeccably landscaped. Expect nothing less from the interior. The gourmet kitchen is amazing and all the bedrooms are on opposite sides of the home allowing plenty of privacy. The home has Plantation Shutters, extended tile on the diagonal, granite counter tops, stainless appliances, under and upper cabinet lighting, pull-out shelving, water softener, R/O and ceiling fans. The laundry room has a sink and is lined with cabinets. The 3 car garage provides plenty of room for vehicles, toys and storage. 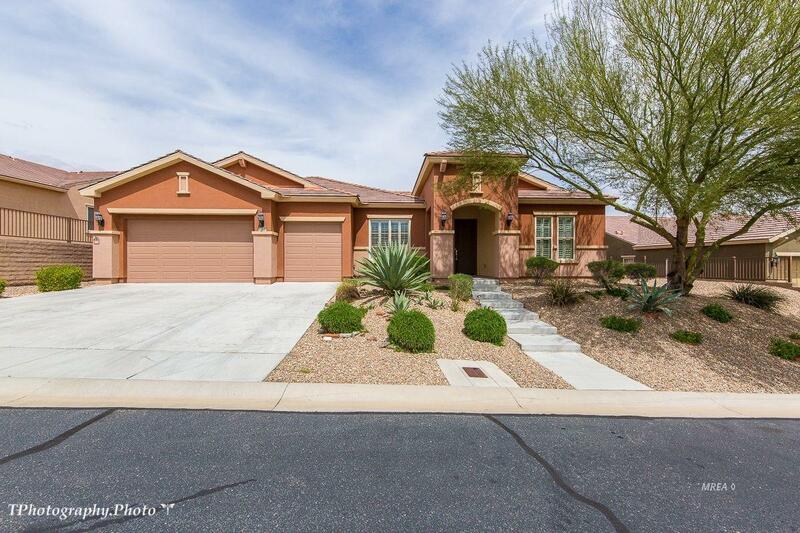 Exterior Features Curb & Gutter Fenced- Full Gated Community Landscape- Full Lawn Sprinklers- Drip System Sprinklers- Automatic Trees View Of Mountains Senior Only Area Patio- Covered Patio- Uncovered Swimming Pool- Assoc. 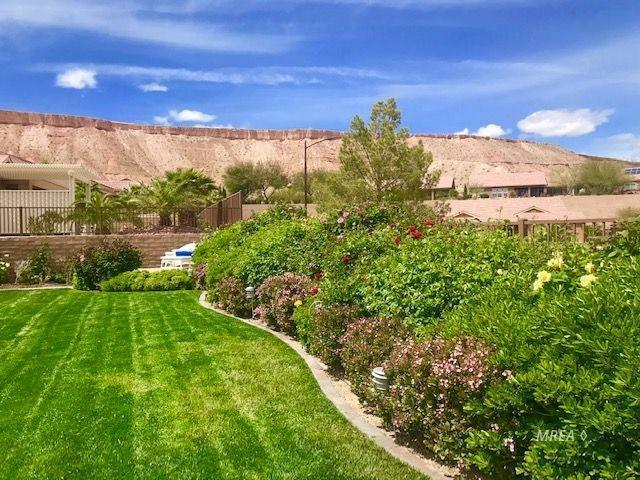 Listing provided courtesy of Tiffani Jacobs of Keller Williams Southern Nevada.